July 2014 – Under Every Leaf. Review of Empire, Faith and War: The Sikhs and World War One. This week the SOAS University of London in partnership with the UK Punjabi Heritage Association (UKPHA) launched their landmark exhibition Empire, Faith and War: The Sikhs and World War One. 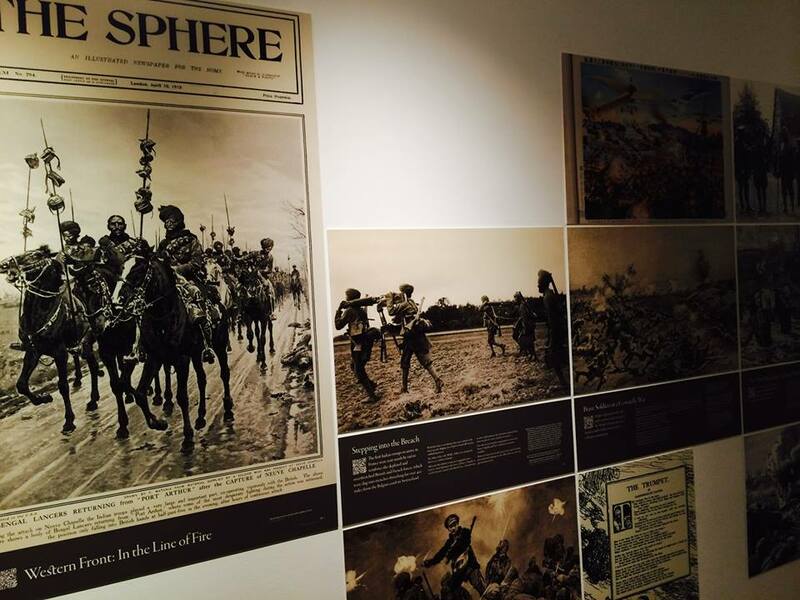 Hosted at the Brunei Gallery London, this exhibition tells the story of the important, and at times crucial role the Indian Army and in particular the Sikhs played in World War One. 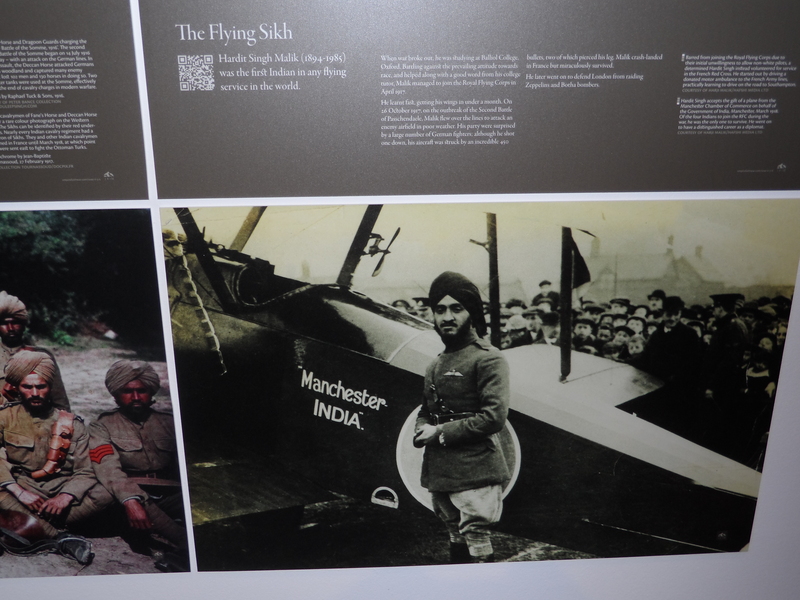 Using a range of exhibits the curator’s hope to bring this little known story to a greater audience and encourage modern Sikhs to investigate their own past and roles their ancestors may of played in World War One. In order to give the visitor a greater understanding of the Sikh contribution the exhibition isn’t just limited to World War One. It tries to give a brief history of the Sikhs themselves, starting in the 15th Century it follows the Sikhs journey from the creation of their own Empire under Maharaja Ranjit Singh, the first clashes with the British Empire, to the immense contribution and sacrifice during both world wars and then finally to the calls for independence and partition. The Exhibition hall is well laid out and as you move through hall, the exhibits follow a logical order, starting with early Sikh history, the outbreak of War, life on the Western Front etc each subject following seamlessly into the next giving the visitor a clear narrative and making it very easy to understand the chronological order of the history. One of my favourite sections was about Sikhs in German POW camps. The Germans seemed to have been fascinated by the Martial nature of the Sikhs and even made sound recording of them which you can listen to. 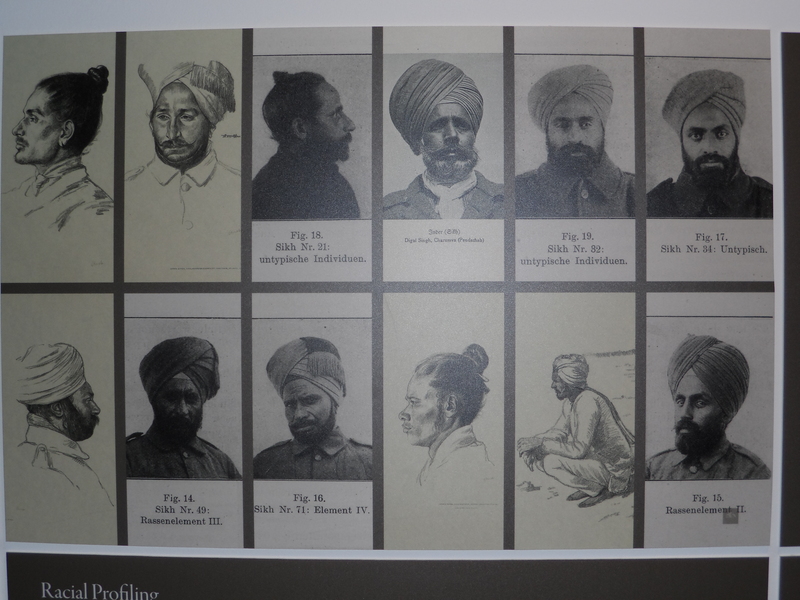 Images of Sikh prisoners of War from German Sources. The Exhibition has managed to secure some amazing items from the likes of the British Library, National Army Museum and even from the Queens private collection. There are some real standout pieces on display and some of my favourites includes a gold embossed Sword and pistol owned and used by Maharaja Ranjit Singh and a stunning book of X-rays which shows the injuries suffered by some Sikhs on the Western Front. The real star of the show, in my opinion is the stunning artwork and pictures that adorn the walls. With everything from colourful recruitment posters, calling the lions of the Empire to fight to a range of pictures showing life in the trenches they really bring to life the vast contribution that the Indian Army made during World War one. The British Indian Army’s contribution was actually far greater than the better-known efforts of the white commonwealth countries of Australia, Canada and New Zealand put together. The non-white Empire’s efforts have largely been forgotten and their heroism and sacrifices omitted from mainstream narratives, or left as somewhat forlorn footnotes of history. And yet men from Undivided India in particular ensured that the Western Front wasn’t lost in those first vital months, and then went on to fight the war’s forgotten fronts in Mesopotamia, Arabia, Palestine, North Africa and beyond. Their contribution has never adequately been recognised or even told. By telling the Sikh story we want to change that and remind the world of this wider undervalued contribution of the non-white British Empire. This is British history and a story that helps explain much about modern Britain as well as filling in a tragically missing piece of First World War history. This exhibition certainly goes some way to rectifying that. The Exhibition runs until the 28th of September 2014 and entry is free.